This has to be the sweetest most precious picture on the planet. This picture was posted by a user on Reddit. 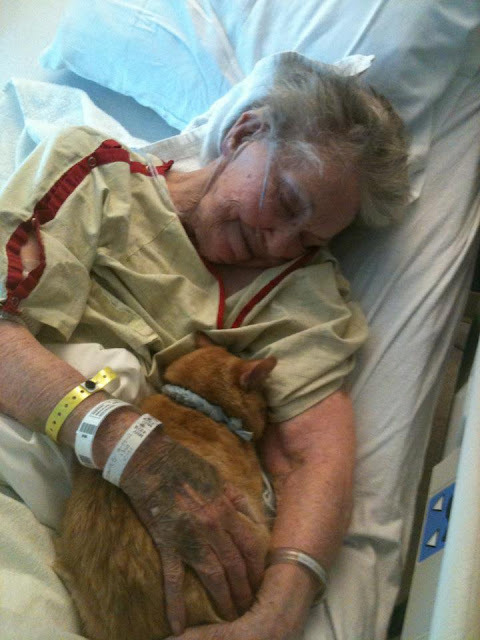 His grandmother was in a hospital dying, and the hospital made an exception and allowed the family to bring her cat in for a visit and it made a world of difference for the dying woman. I think it’s pretty obvious how happy both of them are to see each other. Brings tears to my eyes. That was gorgeous. Thanks for sharing it with us.